According to a new study, eating fruits rich in omega-3 fatty acids such as salmon, walnuts and flaxseed oil may significantly cut the risk of heart diseases. It is reported that there are about 735,000 people in the United States have a heart attack every year. Omega-3s are important fatty acids that the body needs for specific functions, like blood clotting, digestion, muscle activity, cell division and growth. 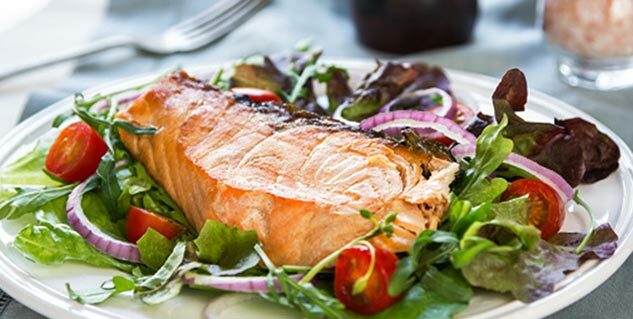 But, the only way the body can get omega-3 is through the foods we eat.Omega-3 fatty acids found in fish, especially the fatty ones like salmon, and alpha-linolenic acid (ALA) which is known as the plant-based omega-3 fatty acid can be found in walnuts, canola oil, and some seeds and nuts. A total of 19 studies were involved from 16 countries and including 45,637 participants. Of these, 7,973 people developed a first heart attack over time, including 2,781 deaths and 7,157 nonfatal heart attacks. It was found that both plant-based and seafood-based omega-3s were associated with about a 10% lower risk of fatal heart attacks, researchers said. However, the researchers also identified no change in the risk of non-fatal heart attack with higher blood levels of seafood- and plant-based omega-3s, which they say shows there is a highly specific mechanism by which the fatty acids lower heart attack death risk.